According to Apple, iOS 9 has the highest adoption rates compares to all other iOS version in the past. As of September 19th, 50% of iOS devices already made the switch to the latest version of iOS. With so many devices upgrading, there was no doubt that there will be some sort of issue with the first version of the new OS. This time, it’s all about mobile data. 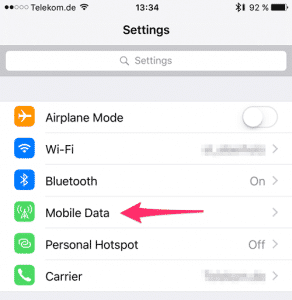 A large number of users reported huge spikes in their mobile data usage, straight after upgrading to iOS 9. This fact is connected to the latest iOS feature Wi-Fi Assist. 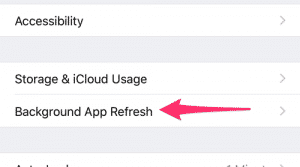 This feature, which is switched on by default in iOS 9, is supposed to help you “stay connected to the Internet even if have a poor Wi-Fi connection“, by switching over to mobile data if you have poor Wi-Fi reception or if the connection is slow overall. However, Wi-Fi Assist might cause more trouble than actually help you. In fact, Apple was slapped with a $5 Million USD class-action lawsuit for not warning users of increased data usage and enabling this draining feature by default on all iOS 9 devices. After the initial complaint Apple updated its website saying that Wi-Fi-Assist “may use more cellular data”. 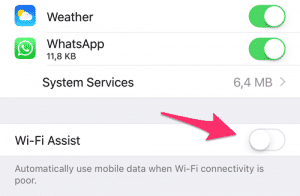 Disabling Wi-Fi Assist is incredibly easy. 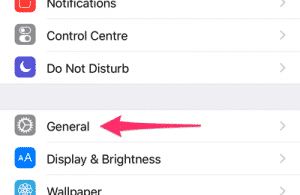 Simply open your Settings, go to Mobile Data (Cellular), scroll to the very bottom and toggle the On/Off switch next to Wi-Fi Assist. Once you’ve done that you’ll likely see an overall decrease in your mobile data usage. However, there are some additional Settings you should change to save a good chunk of your precious mobile data if you’re not on an unlimited data plan. You also might want to completely disable mobile data access for some apps that you won’t need on the go. In my case, I have App Store, Game Center and Music disabled at all times. Just go to Settings > Mobile Data (Cellular) > scroll through the list of apps and disable mobile data for those you don’t need, or only use when you have a Wi-Fi connection. 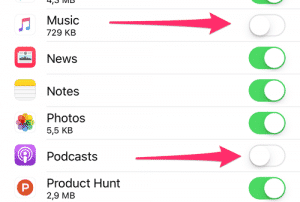 If you have more ideas on how to save mobile data on iOS devices, please drop us a comment. Our community always appreciates a helpful tip! I will make sure to update this guide with the most helpful pieces of advice.